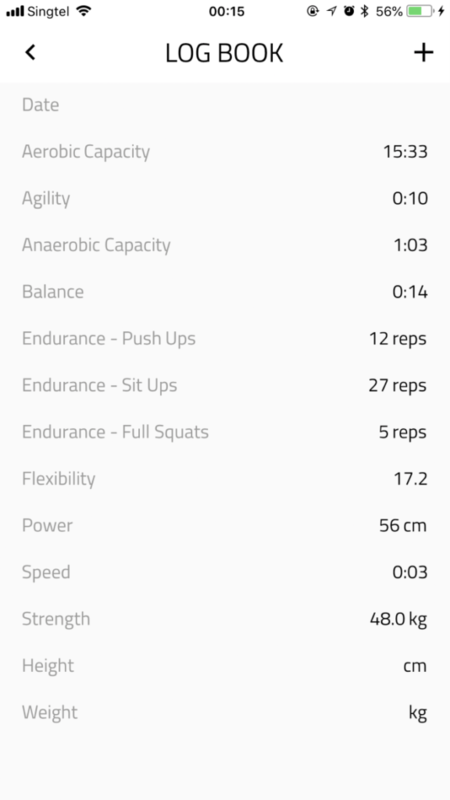 ELXR is a fitness mobile application that provides a DNA-based training programme. 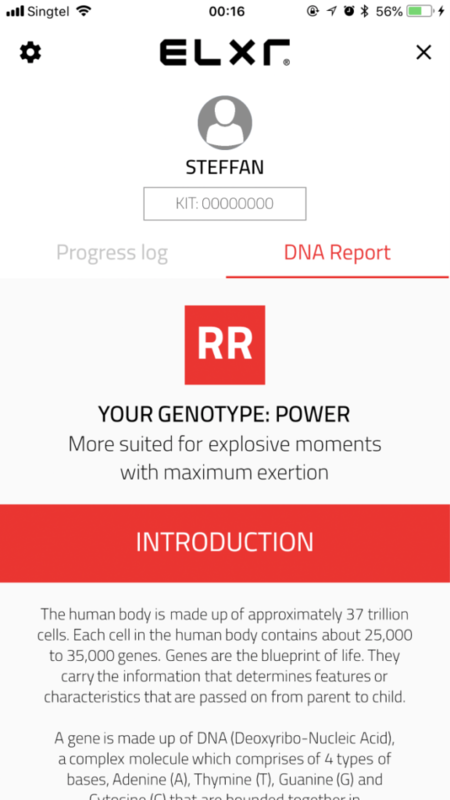 It does so by analysing a user’s fitness at a genetic level. This analysis is obtained from a DNA test kit on the ACTN-3 gene and results from nine fitness modality assessments. These assessments measure the user’s aerobic capacity, anaerobic capacity, agility, balance, endurance, flexibility, power, strength and speed. The results will determine the user’s fitness level and incorporate the DNA results to generate their personalised programme. 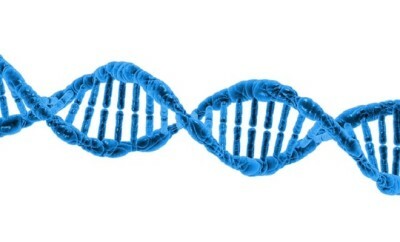 ELXR has partnered exclusively with Genesis Healthcare for the DNA analysis. 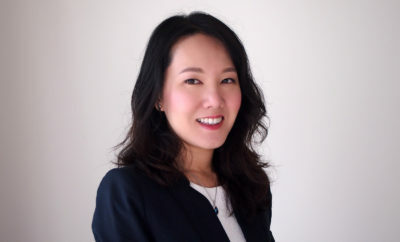 Genesis Healthcare is Japan’s largest private genetic testing, research and data company, with an extensive private genetic database based on a global Asian population. The mobile app is available on both the Apple App Store and Google Play. ELXR comes in three available subscription tiers: Essential, Evolve and Excel. 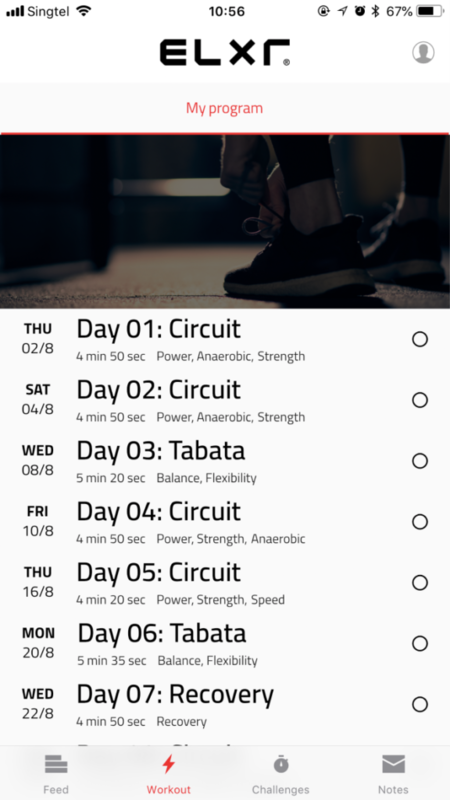 Each tier has specific variables required for a training programme to be created, with the aim of simply allowing a user to achieve his or her fitness goals. ELXR is free to download for the Essential tier and will cost S$0.40 cents per month for the Evolve tier. 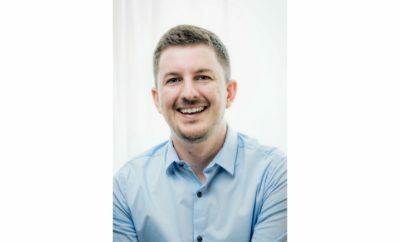 Active Age (AA): Please share a summary of what ELXR is about. 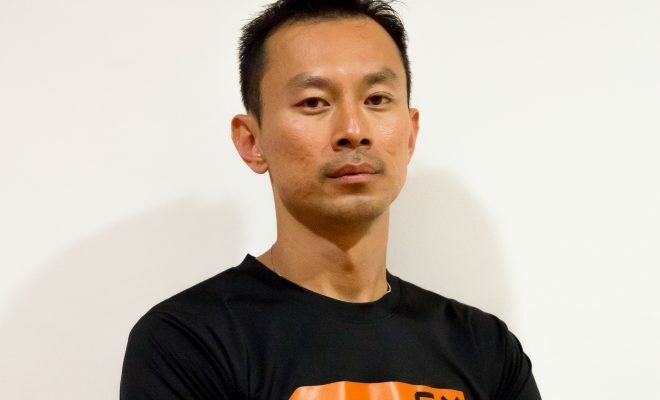 Steffan Fung (SF): ELXR is a fitness mobile application which functions as a DNA-based training programme taking fitness and sports-based apps to a whole different level. A first-of-its-kind in Asia, the app aims to build a tight-knit community between sports and fitness aficionados where like-minded individuals can come together to participate in sports or fitness activities. With the intent of creating a greater knowledge-sharing movement, the app will congregate the best practices of sports, fitness, as well as workout regimes in building a more inclusive sports community. Analysing an individual’s fitness at a genetic level, ELXR brings to the user an experience where they rediscover their fitness type through a highly-recommended DNA test kit – making the app the first DNA-based fitness training app in Asia, delivering a powerful and customised programme tailored to one’s genotype as well as current fitness level. AA: How did ELXR conceptualise using genetics as a measurement of the body’s fitness levels? SF: By providing this information based on a genetic analysis of one’s muscle fibre type, we believe this to be the way to unlock an individual’s fitness potential, which is already a predisposition of your body. AA: How can one’s genetic makeup impact their fitness? Please share some examples. SF: 𝛼 – actinin-3 (ACTN-3) is one of the most researched genes pivotal to training response, recovery and injury risk. This special protein is expressed only in fast twitch muscle fibres. Analysis of the user’s ACTN-3 gene using the ELXR DNA test kit allows the user to identify the type of sports he/she may be best suited for: power, endurance or hybrid. If a user has two functional copies of the ACTN-3 gene, therefore more fast-twitch muscle fibres than slow, he or she is suited for power-based activities. One functional copy of the ACTN-3 gene shows a balance between fast and slow twitch muscle fibres. If one does not have a functional copy of the ACTN-3 gene, it means there are more slow-twitch muscle fibres than fast, signifying that the user is suited for endurance-based activities. For example, a user with an endurance muscle fibre type is more suited for long-distance sports such as a triathlon. A user with power muscle fibre type is more suited for sprints. AA: Can you share some examples of a DNA profile and its associated training programme? SF: It depends on the body’s predisposition, current fitness level and goals. To put it briefly, someone who is a Power type can have more work done in a shorter time. 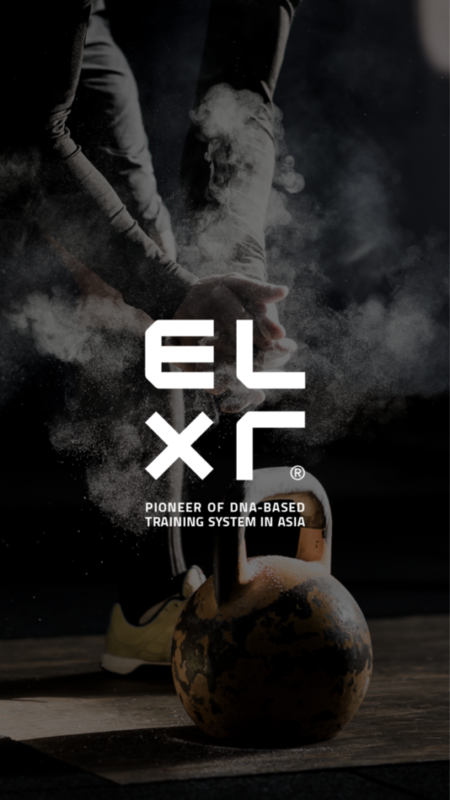 ELXR aims to show you your potential with its carefully curated fitness programmes – based on expertise by veteran fitness coaches, inputs by the sports community from various countries in Asia and also consultations with professors, academics and psychologists from both local and overseas universities. AA: Going through nine modality assessments sounds time-consuming to use an app, how will this happen going forward for the average user? SF: We will conduct such assessments at regular intervals for the average user. The assessments are not difficult to conduct and can be done in the comfort of one’s home as well. Next Story → R U Tough Enough? How I won the title of Singapore’s Toughest.